1. 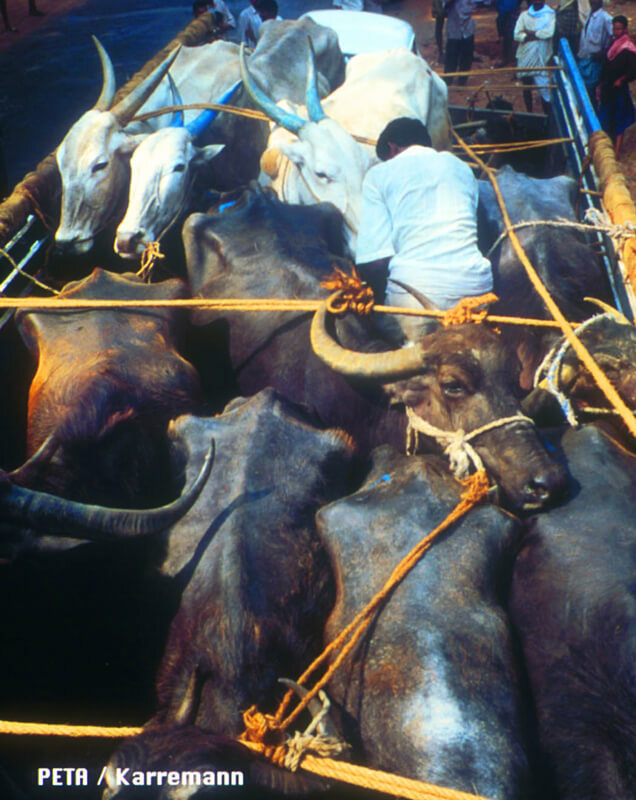 Every year, the global leather industry slaughters more than a billion animals. 2. If you’re wearing leather, it probably came from China or India. In China, there are no penalties for abusing animals on farms. 3. Along with cattle, other animals—including sheep, dogs, and cats—are killed for their skin in China. 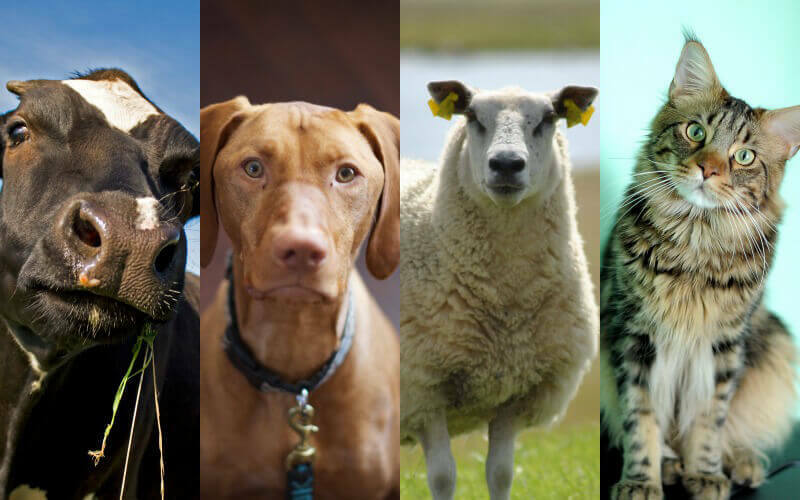 Dog and cat leather is often intentionally mislabeled, so you could be wearing dog leather and not even know it. 4. In India animals fare no better. India’s animal-protection laws are also rarely enforced. 5. 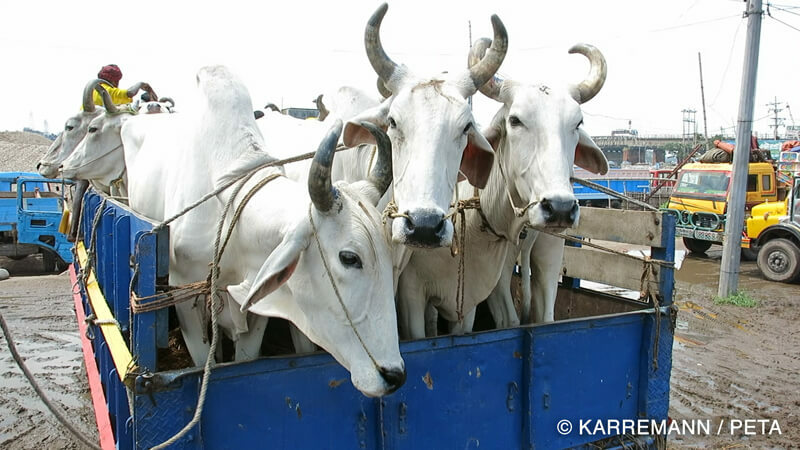 In India, cows are forced to march for days—without food or water—to their own deaths. 6. Cattle who collapse from exhaustion have their tails broken or chili peppers rubbed into their eyes in order to force them to keep moving. 7. There’s virtually no way to tell where leather comes from. Even if a product says that it was made in Italy or the U.S., the raw materials probably came from India or China. 8. Turning skin into leather uses dangerous chemicals, including mineral salts, formaldehyde, and coal-tar derivatives. 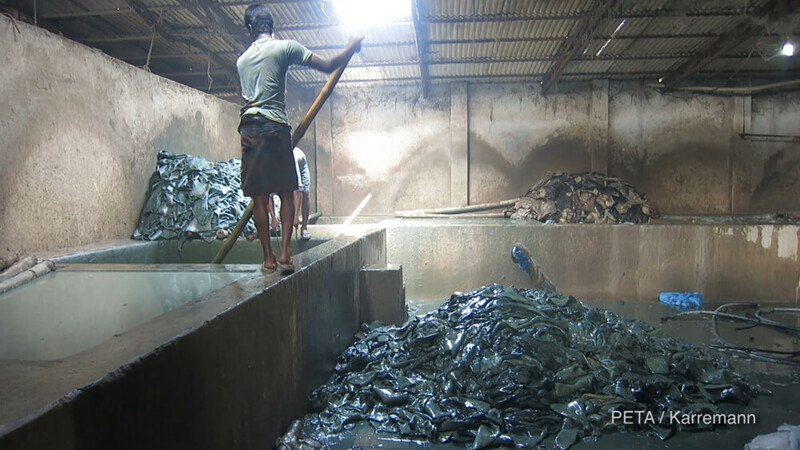 Without this process, the leather that your shoes are made of would rot right off your feet. 9. The Centers for Disease Control and Prevention found that the incidence of leukemia among residents near a tannery in Kentucky was five times greater than the U.S. average. 10. 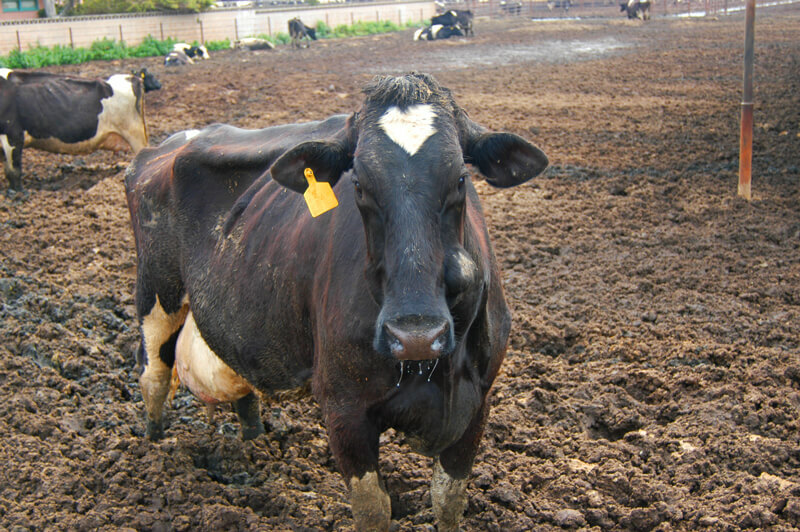 In the U.S., leather often comes from cows who were used for meat and milk. 11. 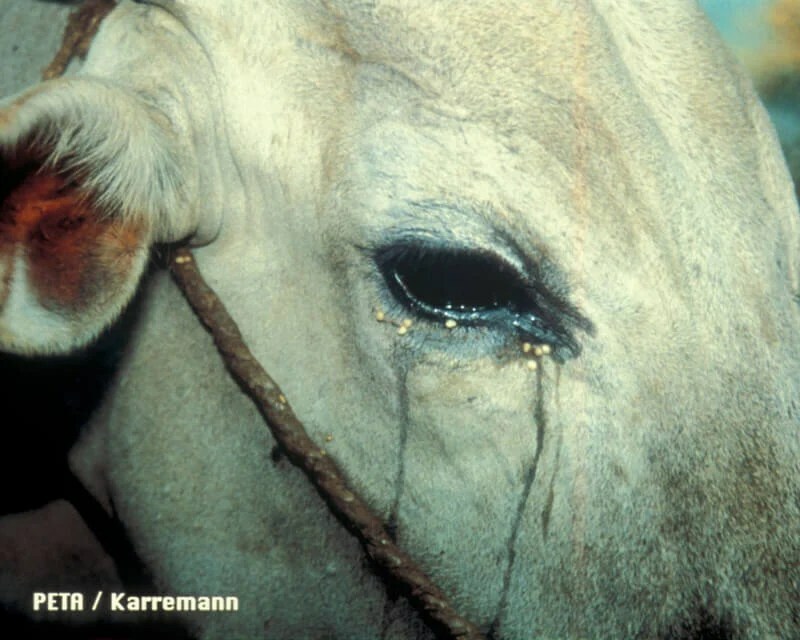 Cows are subjected to cruel practices such as castration, branding, and dehorning. And they rarely receive any painkillers during these procedures. 12. All animals who are used for leather have to face the slaughterhouse. 14. … But the leather industry allows none of that. Please don’t buy leather and choose affordable and durable faux “leather” instead. 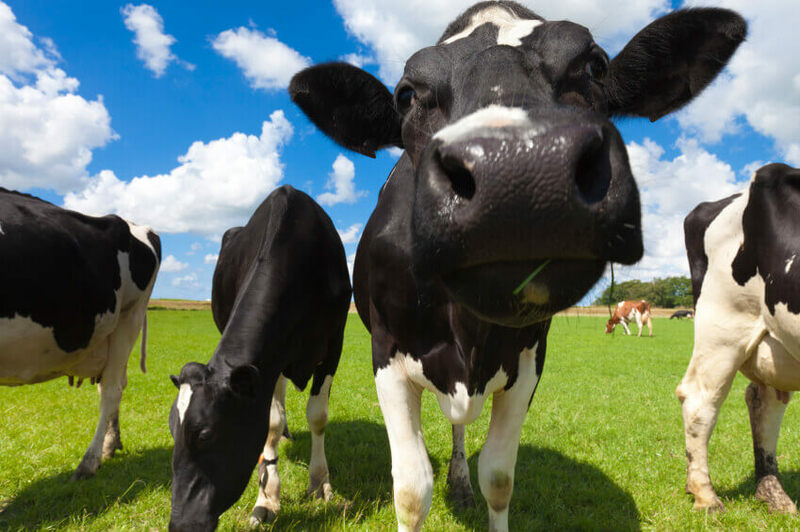 Will you stand up for cows? Help animals who are used for leather right now and share this page on Facebook.